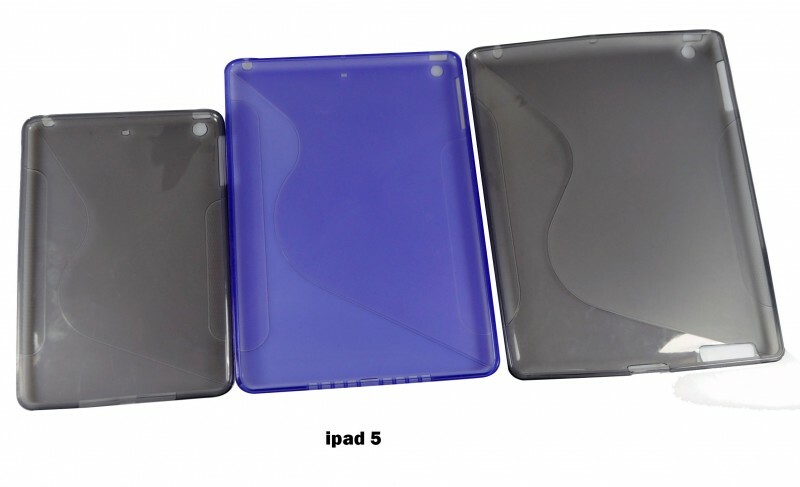 Apple accessory manufacturer MiniSuit has already created a case for the upcoming fifth-generation iPad, based on data and specifications received from what the site claims is a reliable source. The site sent MacRumors photos of the case this evening. 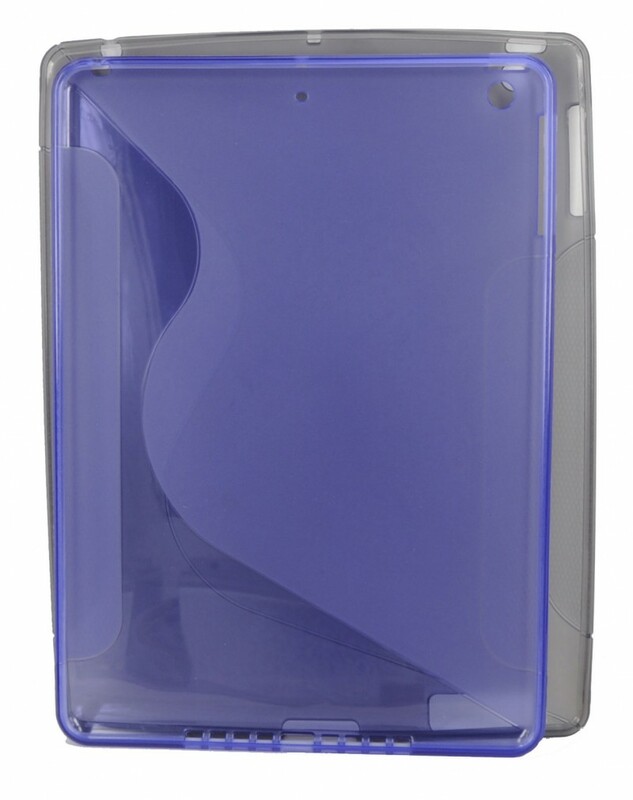 Case manufacturers often obtain case specs ahead of product releases to get a jump on manufacturing. Creating a case based on measurements can be a gamble, but an early case release can be financially beneficial. The iPad 5 case is slimmer than the fourth-generation iPad case, which supports rumors that the next iPad will share design similarities with the iPad mini, most notably featuring smaller side bezels. The back of the case depicts an extra hole, which is for the microphone. The current fourth-generation iPad's microphone is located at the top of the device, but Apple has relocated the microphone to the back of the iPad 5, as noted in leaked photos of the rear shell of the device. 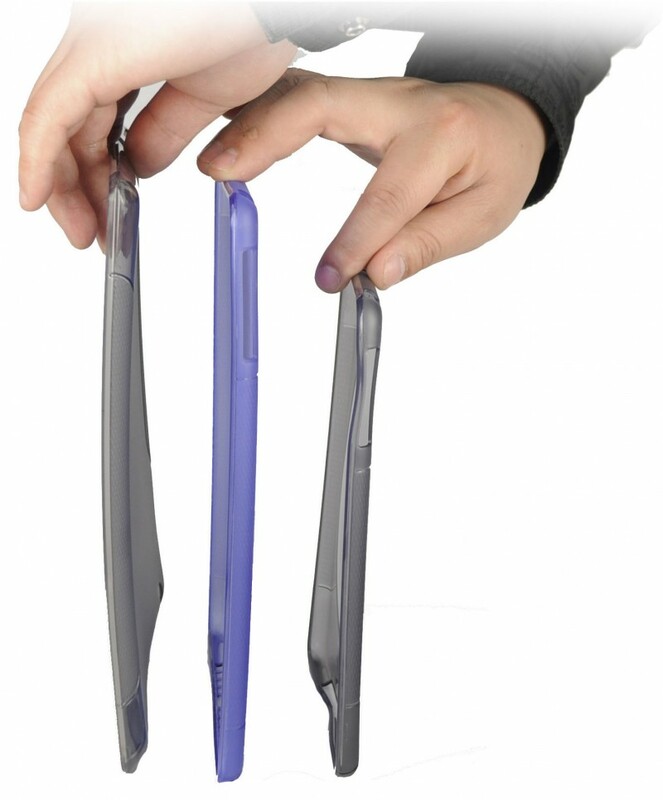 In addition to slimmer bezels and a smaller size, the iPad 5 is said to be significantly thinner than the iPad 4, featuring the chamfered edges of the iPad mini, which is apparent in the less angled design of the iPad 5 case. We recently posted a mockup of what the fifth-generation iPad might look like, based on the current rumors and the leaked rear shell. An iPad 5 with a reduced size would likely necessitate a redesign of the interior of the tablet as well, incorporating smaller chip components and a thinner display panel. Several different release dates for the fifth-generation iPad have been suggested, ranging from March to mid-year to October, with most rumors settling on a fall release. According to MiniSuit, Apple's iPad 5 will be released in June. I will miss the beveled edges. It made the tablet super easy to pick up from any angle when on a table. Whats the point of the mic being on the back of the pad... Makes no sense.. The hole on the back is the microphone spot. The headphone jack is where it was on the old ipad. I'll probably have to upgrade my iPad 3 if the rumored dimensions are true. I'd love a thinner iPad with a smaller footprint. Curse you - New Apple! Like replacing my iPhone I've waited so long for an iPad a few more months won't kill me, can't wait to see what they release in June. This might be my first iPad. Have you ever tried doing it on your iPhone? It's intentionally possible to do that. Yes, I have. I have tried running various flashlight apps, while playing a podcast and running an app like Endomondo at the same time. The moment you navigate away from the flashlight app (which keeps the screen lit up the whole time, BTW, draining the battery), the flashlight will go off. So, if you want to make a call, send a text, change the song or the podcast stream, you will be in the dark. What is the name of the flashlight app, which as you so long-windedly and with such certainty claim, works with multitasking? If you cannot provide the name, please stop posting nonsense.